The idea of holiday gifting causes many to come undone at the seams. Not enough money. No time to shop. No idea what to get the distant family member whose name was drawn from a hat. Fretting over what to give can easily hamper joy during what is suppose to be the most wonderful time of the year. During the season when we are bombarded with more, more, more, nothing could be more rewarding than the idea of less. Less spending. Less driving all over town looking for the perfect gift. Less stress. Just the thought of this evokes a sense of Bliss-mas, does it not? Yeah! Then, let’s continue riding this ‘less is more’ happy holiday train. Whether it feels like it or not, you get to CHOOSE how much you will spend on family, friends, and co-workers. Organize a holiday bake night. Gather family for a holiday movie marathon. Invite everyone to bring their most creative popcorn treat, and recipes to share! Ditch electronic messaging, and actually handwrite and slow mail cards this year. Volunteer at a homeless shelter, rehab facility, VA hospital, or food bank. Attend holiday themed art and musical events. Enjoy the season in nature––go snowshoeing, inner tubing, or plan a cozy picnic with flasks of hot toddies! 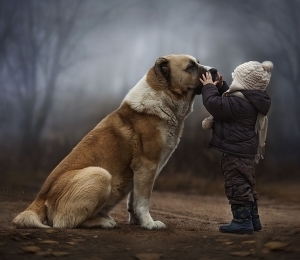 You get to fill space with hugs, laughter, and the warmth of your heart rather than with consumer goods. Of course, if you have the money, and are inspired to shop for tangibles that gift health, comfort, and peace of mind, by all means do it! 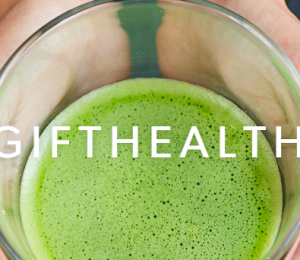 Introduce those you love to the many health benefits and culinary pleasure made possible by premium Japanese matcha tea. 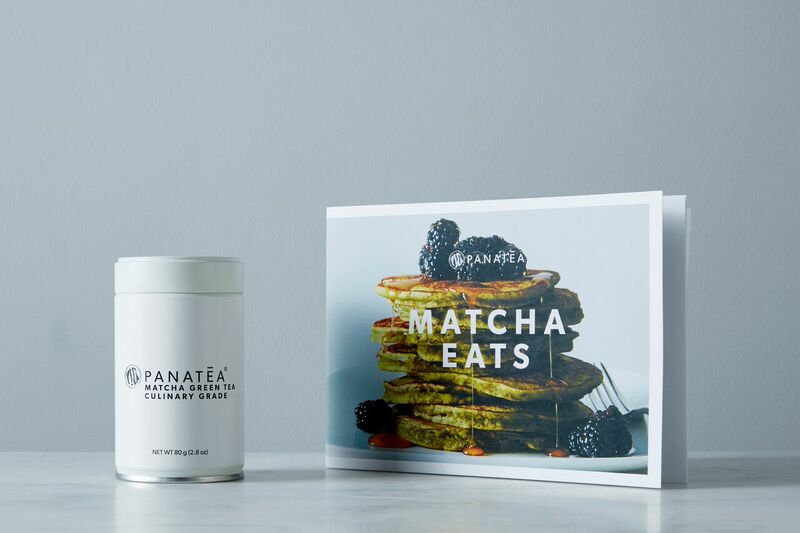 This holiday pairing kit includes 80 servings of matcha tea powder, and an accompanying, limited edition recipe book that shows you how to use this antioxidant powder beyond simply adding water. Enjoy 10% off your purchase with promo code PANATEA10. If you have not yet be exposed to Sun Potion’s apothecary, you are in for a real treat. 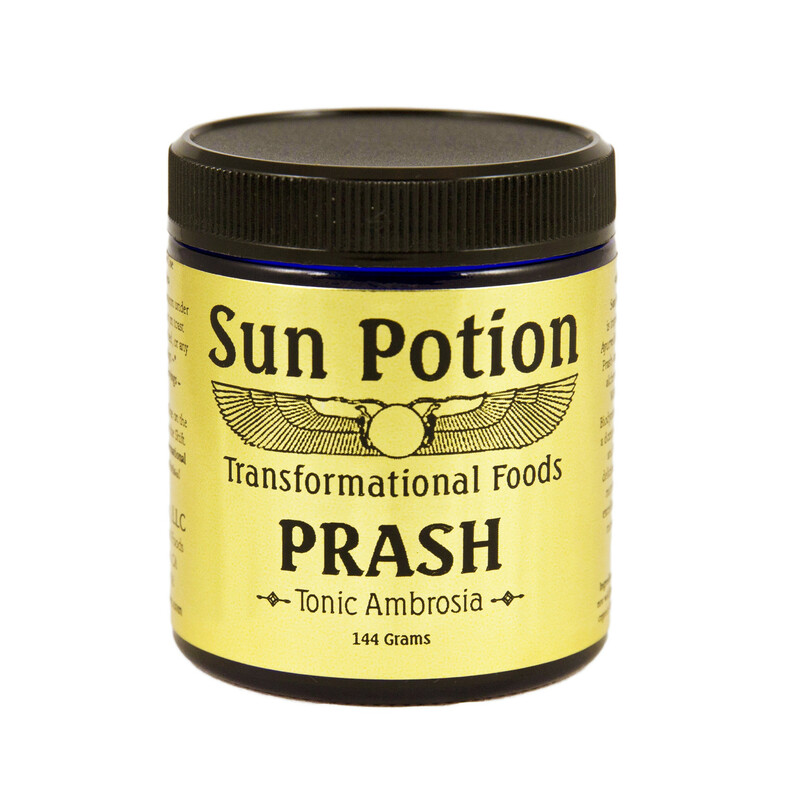 Their tonic herbs and superfoods are next level, with Prash being one of my favorites. This spreadable and spoonable blend of honey, ghee, and super potent herbs and medicinal mushrooms is down right luscious. While enhancing the flavor of tea, and decorating your toast, you will benefit from immune-boosting, hormone-balancing, and digestion-enhancing nutrients like astragalus, he shou wu, ashwagandha, and reishi. This is a must have for any health seeker. Clearly I have a thing for tea, with matcha being my favorite in the morning. Throughout the day I like to sip on light and invigorating herbal blends, and Aloha makes some of the best. This Holiday Tea Pack includes 15 sachets each of four custom functional blends (Lovers, Protect, Clean, and Beauty), as well as 30 sachets of powdered coconut water. 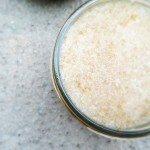 Not only does this low-glycemic sweetener up the anti on tea taste, it helps keep your electrolyte levels in check. Order any one of their five holiday packs, and they will gift the Food Bank for New York City a whole food meal! A daily ritual I never skip is that of journaling. The practice of recording life experience, dreams, desires, and emotions helps me identify areas of my life that need development, maintain a spirit of gratitude, and provides a window to the past, which makes lessons of the present more easily understood. Many of my blog posts include journal exercises, and I recommend they be recorded in an acid-free page notebook, and one that feels good to the touch. 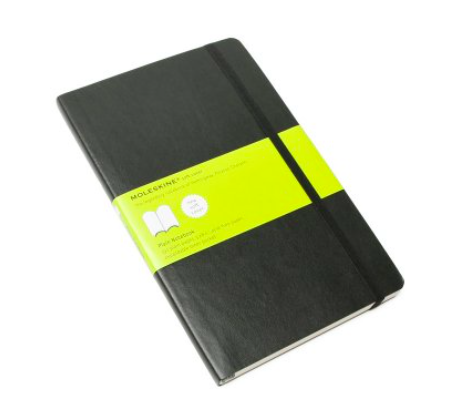 This moleskin soft cover is just that. It is bound to be flexible, opens up flat for comfortable composition, and has plain pages for scribbling in any way you choose. Winter weather and holiday imbibing can be especially harsh on your complexion. 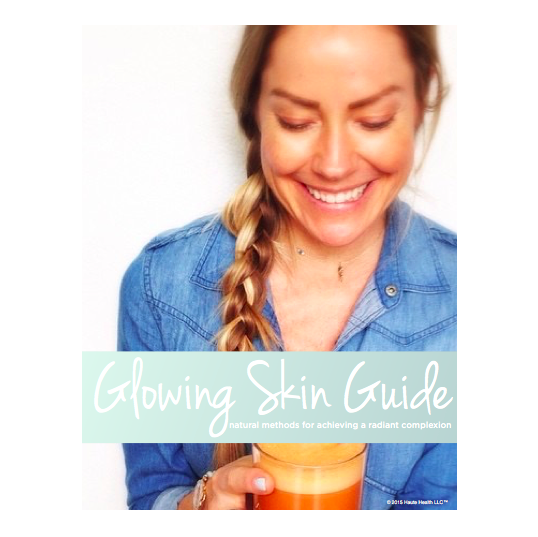 Gift yourself or a friend skin radiance with this eBook. Inside you will receive a recipe for a quick and delicious Beauty Juice, a DIY salt scrub, food and supplement recommendations that support glowing skin, and all natural products and skin care routines I swear by! You already know I love matcha. You also likely know I love chocolate, and now you know I adore mint with both. 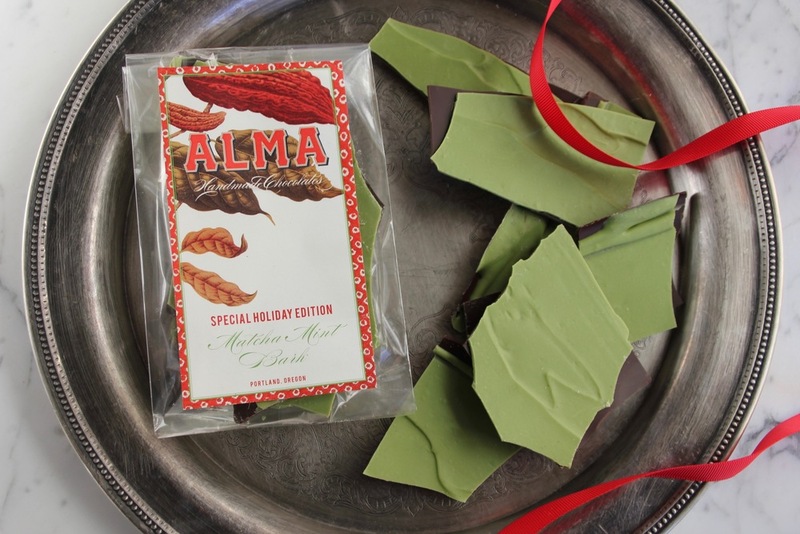 Alma Chocolate is a local confectionary owned by the most lovely mother/daughter duo, and their chocolates are down right dreamy. This limited edition matcha mint bark in particular is a major win. Perfect as a stocking stuffer or hostess gift, the recipient will surely appreciate the healthy indulgence. Hands down one of the best “get the life you want” books, complete with exercises you will actually enjoy doing. Creator Danielle LaPorte’s tell-it-like-it-is approach is a welcome treat in the world of personal development. 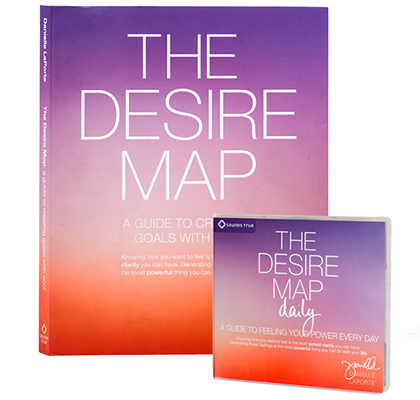 It is a fun read, and the results of completing the workbook are forever life-changing. I crack it open every December to prepare for the year ahead!